DSC03041, a photo by CAKE Amsterdam - Cakes by ZOBOT on Flickr. This is quite possibly the most beautiful cake i have ever made. 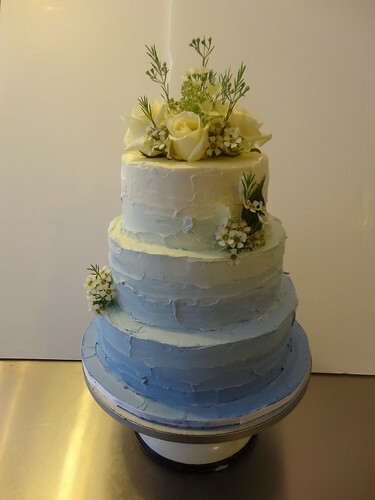 I love it and I wish it was my wedding cake (though technically it is very similar to my own wedding cake)! Gradient shade of periwinkle blue/purple moving up to white... it's elegant and classic and rustic and BEAUTIFUL all at once! Congrats to Vicky & Jacqueline! Married at the Rijk van de Keizer. *with a small side cake of Traditional English Fruit Cake, made by an American in Holland.